So I have been the biggest fan of Chimamanda since we all first heard her speech in Beyonce’s music video “Flawless”. However, being the fussy reader that I am, I have been putting off buying her books, despite the raving comments I heard. To be honest, when I think about why it took me so long, it wasn’t because I did not think she was a fantastic writer. I was just so intimidated (read: lazy) by the African names and context. As an African blogger and avid reader from South Africa, my biggest fear was that I would pick up one of her books and just simply NOT RELATE. 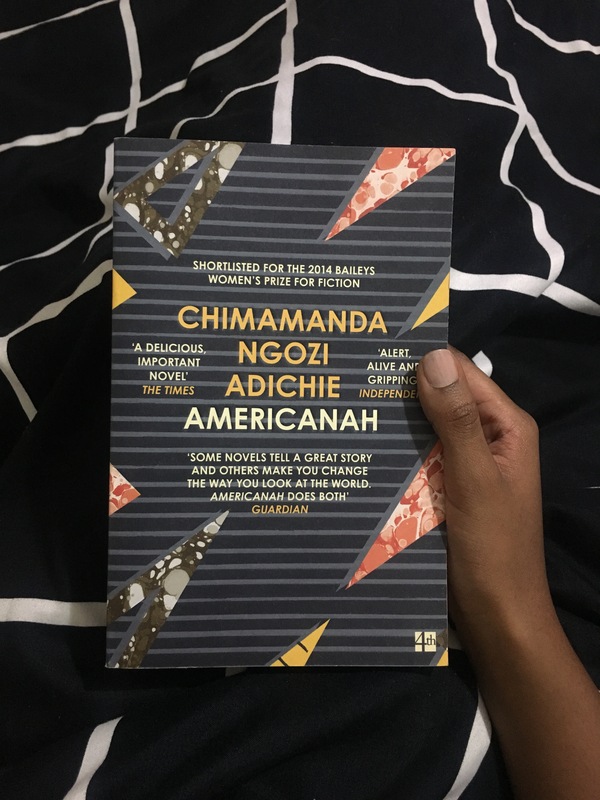 I thought I’d try and give Americanah a try and close it bitterly after trying to drill the character names into my head and relate to the storyline and the characters experiences. I was afraid I wasn’t going to be black or African enough to get it and the last thing I wanted was to read about the people of my land from a foreign context, I did not want to feel like and imposter. I was so terrified of just disliking liking it. But alas! After an hour of research and debate in the bookstore I walked out (with a little reservation and confidence) on my new purchase and addition which was Americanah. Why was I never told Ifemelu was a blogger who had monitozed her blog!? People. I would have long been within this book if I knew this! Needless to say, I cannot express how estatic I am to have one of Chimamanda’s pieces of literature on my bedside table. It is so surreal, and my love for her writing and storyline in the current book I am reading just make the novel that much dreamier. If I could compare Chimamanda’s writing style to food I’d say it smells like French vanilla and melts in your mouth like rich dark cocoa. Her storylines are extensive, and as deep as a freshly brewed pot of coffeee on a Monday morning. I’m in love! My second African author and I am simply in love! I cannot wait to share my final thoughts and my modified version of a book review post with you!